Magna-Peel™ laminated postcards give you extra impact in yourdirect mail (or bulk mail) marketing. 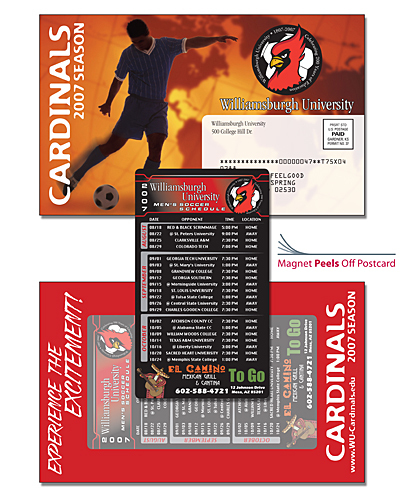 Your 3.5x6 magnet is glued to the surface of the card, giving you the most convenient way to get your magnet & message into your customer's hands. widely read than ordinary direct mailers.